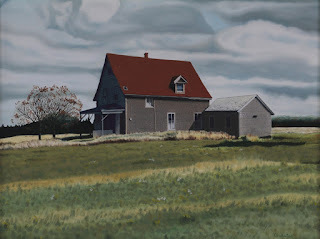 Phil Chadwick's Art: #0061 "Deserted Dwelling"
This was an abandoned homestead near Primrose on the King's Tour, Prince Edward Island during the fall of 1977. 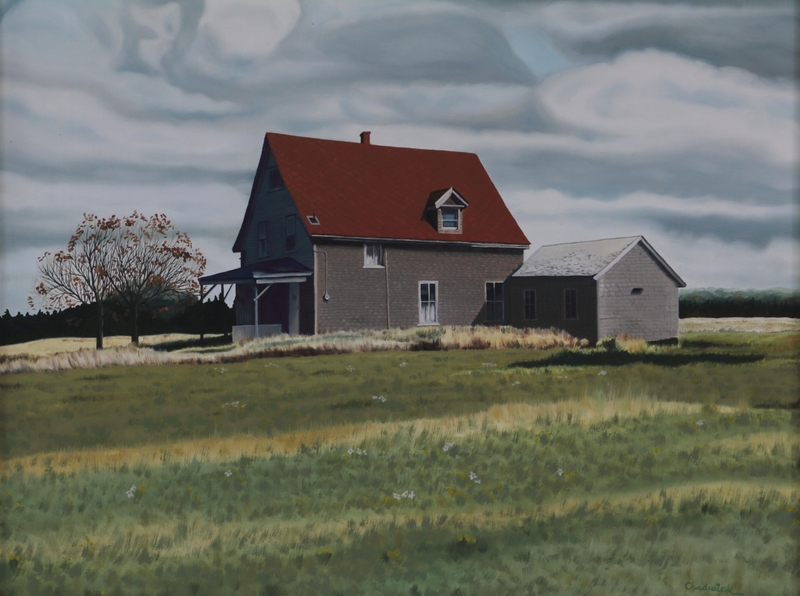 This is one of my favourite works - it just kind of flowed into place... At one time this was a proud homestead surrounded by fertile land. I wonder what happened to the generations of family that were raised there. The rough line was still straight and strong but no one lived there anymore. A deck of front lit stratocumulus filled the sky. Pale blue sky peeked through holes in the cloud revealing no layers of system cloud above. Some virga wafted downward from the more vigourous cumulus elements.